If you want a versatile and capable vehicle which can handle any situation, you can’t go wrong with a reliable SUV. The Ford lineup of SUVs are able to withstand the rigours of daily living, while still having enough style to turn heads. Throw in some of the latest in high-tech features, many of them standard, and you’ve also got one of the most comfortable and intuitive vehicles on the road. Come visit Westview Ford at either our Courtenay or Powell River location, whichever is closest to you. Browse our selection of Ford SUVs below, and be sure to contact our experienced and friendly sales team to book a test drive. The agile and capable Ford EcoSport is a compact SUV only in size! Enjoy the latest high-tech connectivity, a versatile interior space, and the proven ability of the EcoBoost® engine. This affordable and economical option will get you anywhere with confidence. 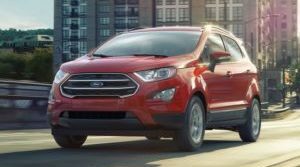 Combining comfort and convenience, the Escape is a cornerstone of Ford’s SUV lineup for a reason. This compact crossover SUV has great handling, a whole suite of standard and available safety features, and some impressive power under the hood. 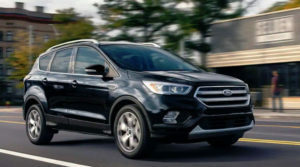 A bold crossover SUV, the Ford Edge offers up a trio of engine options to better adapt to your daily driving needs. 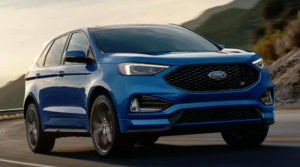 Stocked with some of the latest in innovative safety technologies, the Ford Edge offers one of the most reliable rides you can find on any BC road. 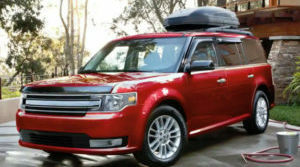 With an innovative and spacious design, the Ford Flex is aptly named for its flexibility. This crossover SUV offers the kind of cargo and seating capacity you’d expect from a minivan, but with the capability and style of a modern SUV. The legendary Ford Explorer is ready for any adventure. 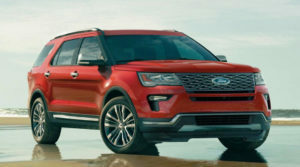 One of the most capable SUVs, the Explorer offers the power and durability to head off the beaten-path, along with the convenience to help you handle your day-to-day driving. 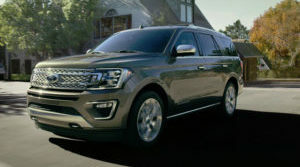 The largest and most capable SUV Ford offers, the Expedition is ready to take you wherever you need to go. Unparalleled space, best-in-class towing power and a luxurious interior make this a standout SUV in an already impressive lineup.